Externally, the building is clad with rustic weatherboard painted in the exterior shade of Black. It has an apex roof covered with slate composite tiles and windows with a lowered cill which allow in more natural light and open wide to provide the interior with adequate ventilation. Black guttering has also been added to the fascia boards so that the elements are kept off. 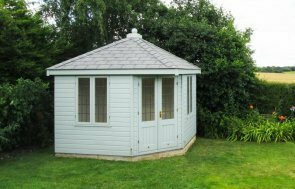 We would like to thank you for the level of professionalism, service quality and flexibility you have shown us during our recent purchase of a Holkham Summerhouse. You may recall that the initial ex-demo summerhouse we ordered was delivered not quite as advertised. Your understanding and excellent customer service in responding promptly and courteously, taking full responsibility for addressing the issue was exemplary. We would like to thank Crane Sheds and Summerhouses for the excellent service and great quality Summerhouse. 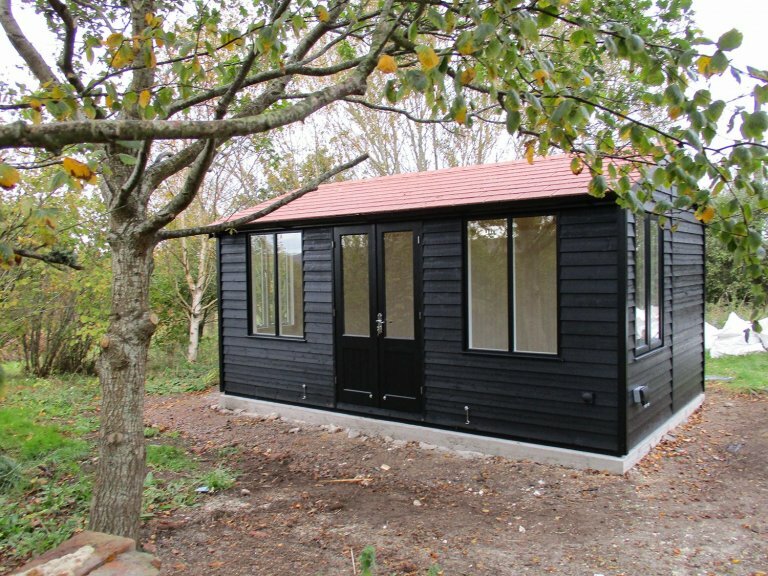 We would thoroughly recommend your company to anyone who wished to purchase a quality shed or summerhouse. Quality is clearly both at the heart of your products and your service ethos - Thank you. 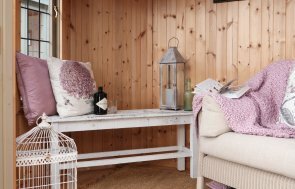 Internally, the Summerhouse has full insulation and lining painted in Ivory for an airy and contemporary feel. The timber building also boasts electrics, which consist of lighting and a gang light switch along with four dual sockets and an external dual socket perfect for outdoor appliances such as lawnmowers and jet-washers. 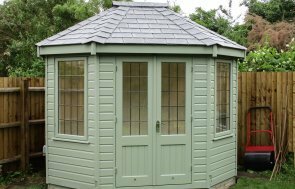 If you have been inspired by our timber summerhouse, we recommend that you pay us a visit to view the entire range for yourself at one of our UK show centres which you can locate here. Alternatively, to speak to one of our friendly advisors about your own requirements, get in touch with us on 01760 444229.